This recipe was a long time coming. 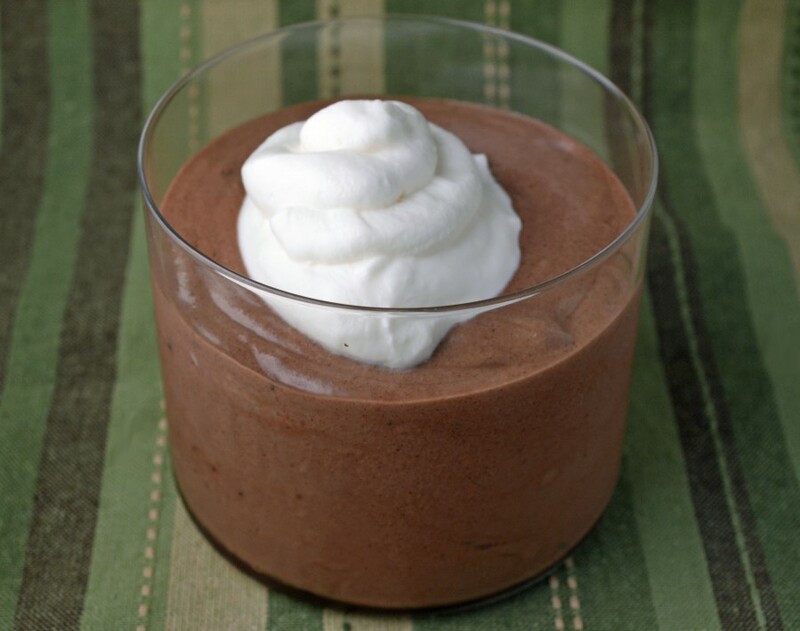 For what seemed like a fairly straight forward and simple chocolate mousse, it took more testing and modifications than most of the other recipes I’ve posted here from “The Art of Good Cooking.” I eventually settled for a more traditional mousse approach, similar to what I was taught at The International Culinary Center. I then put my own spin on it by adding marscarpone cheese to the whipped cream. This really isn’t necessary and the mousse is delicious without it, but I like the contrast of the semisweet chocolate with the rich whipped cream. It’s an addition I learned from a chef I once worked with and it adds to the recipe’s overall velvety texture. So what was the issue with the original recipe that required so much modification? Basically, it says to just serve the meringue chocolate mixture with whipped cream, when really a large amount of whipped cream should first be folded into the chocolate mixture. Then it should be served with a dollop of the remaining whipped cream. Without this step, the mousse tends to take on too much of a foamy feel and can easily fall flat. The ratio of egg white-chocolate-whipped cream was another challenge but as long as all three are combined, it’s hard to go horribly wrong. From there you can make whatever adjustments you see fit: take out the marscarpone, use bittersweet chocolate instead of semisweet, add a few tablespoons of brewed espresso, take out the cognac or liqueur – the list goes on. Just remember to serve with extra whipped cream, it’s one of the best parts. Prepare whipped mascarpone cream by beating cream until slightly thickened. Gradually add sugar until thick and stiff. Beat in vanilla and mascarpone just until combined. Chill until ready to use. Melt chocolate over hot water in a double boiler. Cool slightly. While chocolate cools, add salt to egg whites and beat until soft peaks are formed. Gradually beat in sugar and continue to beat until very stiff and meringue loses its graininess. Beat in liqueur and vanilla. Fold about 1/4 of the meringue into chocolate to lighten. Fold chocolate mixture into remaining meringue. Add 1 1/2 cups whipped mascarpone cream and fold until just combined. Pour in individual dishes and chill for 1 hour. Serve with remaining whipped mascarpone cream.